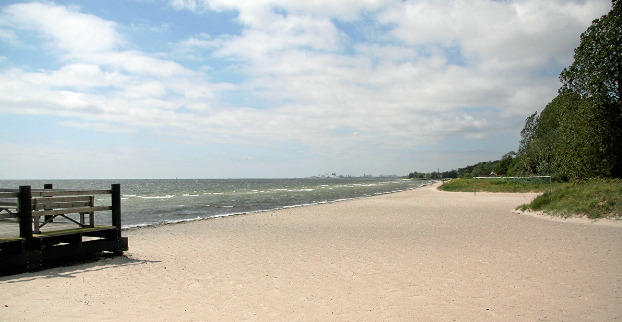 You find Trelleborg Strand 2.5 km east of Trelleborg town centre, between the sea and road 9. The camping area is rich in trees and vegetation and is close to the beach. You'll find a bridge, around 150 sites with electricity, cable TV, service building, shop, TV cottage, mini-golf, tennis courts, children's play areas, sauna and more besides. There's also a fully-licensed restaurant close to the camping area. There are 14 holiday cottages of around 20 m2, with a fully-equipped small kitchen, WC and outdoor space. They each have 4-beds (bunk-beds). There are also 11 cottages for overnight stays of around 10-12m2. Cooking facilities and veranda. 4 beds (bunk-beds).